Jackie Evancho, a Pennsylvania native, won the hearts of audiences across the nation with her performance of Puccini’s go-to soprano aria “O mio babbino caro” on the fifth season of America’s Got Talent in 2010. Taking home second place, the ten-year-old classical crossover singer soon after embarked on a meteoric rise to international stardom. She appeared alongside several heavyweight pop and classical music performers, released a handful of chart-topping CDs, performed solo concerts at elite venues, including Avery Fisher Hall, and participated in televised concerts with songwriter/producer David Foster, not to mention high profile performances for dignitaries, world leaders, and even Oprah. Evancho’s commercial and critical success thus far is both impressive and unprecedented. Indeed many JME fans are highly anticipating Evancho’s inaugural performance, but I would wager to guess that no musicology nerd out there jumped for joy quite to the same degree that I did upon hearing this news. Let me explain: Campaign music is my primary scholarly interest (I run Trax on the Trail, a website that catalogues music usage on the 2016 campaign trail); child “opera” singers are my secondary interest (I published an article on Evancho with Routledge in early 2016). Never did I think my two research worlds would collide in such a manner. Nevertheless, this convergence has afforded me to the opportunity to revisit my earlier work and investigate how we might hear the now sixteen-year-old Jackie Evancho in the era of Donald Trump. Focusing on the first three years of Evancho’s career, my Voicing Girlhood in Popular Music article investigated how the artist alternatively embodied and rejected three complex and contested subject positions—prodigy, diva, and ideal girl. Despite her commercial success, a vocal cadre of critics, journalists, and bloggers have not always been kind to Jackie Evancho. Classical crossover’s excessive sentimentality and reliance on stage magic and spectacularity often provoke the disdain of critics from the worlds of both popular music and opera, but perhaps the vitriol has just as much to do with the singer’s age and gender. Young girls frequently become the scrutinized objects of the public’s gaze, and their behavior the impetus for public policy and debate. Star status places Evancho in the thick of such patriarchal surveillance. In a cultural landscape where the identity category of “girl” and the cluster of behaviors customarily defined as “girlish” are frequently devalued, mocked, and marginalized, the singer’s tween status only adds fuel to the critical fire. Moreover, a certain skepticism emerges when voice and body appear to be in misalignment. Evancho looks like a child, but to use Maria Sciullo’s words, commands the stage with the voice of the diva, a female archetype that the public both worships and reviles. Throughout history prodigies have been received in a similar manner, as the public would rather dismiss or devalue their accomplishments than accept evidence of extraordinariness. In the case of Jackie Evancho—prodigy, diva, and ideal girl—there is indeed some truth to pop music critic Jon Caramanica’s claim that “[p]recocity is a shock, a fascination and a curse. Assuming an analogous tripartite approach, this essay offers a reading of three intersecting subject positions occupied by Evancho in 2016—crossover artist, ideal woman, and true patriot—investigating how recent discourses elevate her as a symbol of embattled whiteness. While on the surface the classical crossover singer appears an apolitical choice, the rhetoric of purity surrounding her biography, repertoire, and vocality allows her to reinscribe a vision of femininity, whiteness, and patriotic zeal that perfectly aligns with Republican ideologies. Critical race theory positions race as a socially constituted phenomenon that legitimizes structural inequalities, thereby reinforcing white supremacy and maintaining the subjugation of people of color. Pre-Trump, being “white” meant one was devoid of a racialized identity, or unmarked, but as his campaign unfolded, white became a racial category, albeit a contested one. Trump’s campaign platform, which stoked fear over issues such as immigration, gun rights, and liberal secularism, deftly played into the insecurities of white males lamenting the loss of their default position of dominance in the socioeconomic hierarchy. As a group impacted by de-industrialization and outsourcing, this disenfranchised demographic harbored resentment towards the outgoing administration, with many perceiving the attendant rise of identity politics, ethos of multiculturalism, and political correctness as the cultural shifts that deprived them of their rights, traditions, and economic self determination. Trump uniquely positioned himself as the antidote to both the inefficacy of traditional conservativism and the hypocrisy of liberal elitism. But rather than embracing the full blown rhetoric of white supremacy, he deployed coded language that appealed to the alt-right without alienating the Republican Party’s old guard. While the causes (and existence) of this population’s victimization remain a point of contention, discussions regarding the plight of the God-fearing white male have indeed dominated election year headlines, and persist even now as pundits grapple with the election’s surprising outcome. While a good number of journalists have opined on both white male disenfranchisement and the rhetorical and communicative strategies that allowed Trump to appeal to this demographic, there has been less attention to how Trump’s musical strategy reinforced these efforts. Although she appeared post-election, Jackie Evancho is a good place to start. Classical crossover, a porous genre that straddles the line between pop and classical, encompasses opera megastars who perform lighter pop and show tunes as well as pop artists who take on beloved gems from the classical canon. The genre champions accessibility over elitism and possesses a core repertoire of religious songs, holiday favorites, arias, and show tunes. Most fans over fifty. Although Trump relied on classic, hard rock for his rallies—Twisted Sister, The Rolling Stones, and Aerosmith—he also made use of music from stage and screen, including tunes from 1980s megamusicals such as Cats, Phantom of the Opera, and Les Misérables; classical crossover left its mark as well. But why might a teenaged classical crossover artist be a good change of pace for the man who primarily relied on the bombast of now-geriatric rockers as he walked onto rally stages across America? For one, classical crossover establishes continuity between the soundtrack of Trump’s campaign and the event that marks the beginning of his presidency, underscoring his finesse and refinement rather than his masculine might. Moreover, the genre offers class connotations that align with both Trump’s and his supporters’ rejection of elitism. Take for example, Luciano Pavarotti’s recording of “Nessun dorma,” which Trump made use of at campaign events, much to the chagrin of the late tenor’s estate. Although the general public may view the Turandot aria as a touchstone of high culture, its saturation in popular culture and position in the classical crossover canon, give it the air of the knowable, familiar, and everyday. Pavarotti’s “Nessun dorma” is opera, but it is relatable—it is opera for the people. Classical crossover embraces the spectacularity and stylistic flourishes of opera, yet rejects the pretense, elitism, and snobbery of the classical music world in hopes generating popular appeal. Trump has cultivated a similar image for himself throughout the course of the campaign: he possesses great wealth and highbrow tastes, yet rejects the pretenses of the wealthy class—he is after all a “blue-collar billionaire.” While there may indeed be a disconnect between Trump and the leftist artists whose music he used despite their many protests, classical crossover, steeped in its own brand of theatricality and artifice, is believably his authentic music. Evancho, whose performances display a very old-Hollywood-style of glamour, occupies a similar middle space. Although early press insisted on framing her as an “opera singer” she gently corrected them, preferring to align herself with classical crossover. And with such a strategy, she divorces herself from the connotations and critical apparatus of opera while claiming her art as a source of inspiration for the masses—a status reinforced by sobriquets such as “America’s Sweetheart.” As one gentleman on a fan site proclaims: Jackie Evancho is “the soprano for the rest of us.” Claims of accessibility and universal appeal aside, the consumptive patterns of the genre point towards a specifically conservative brand of populism, which is certainly middle-class-specific and racially coded as white. While race relations generated robust debates on the trail, so too did Trump’s relationships and interactions with women. Some pundits predicted his record of misogynic and sexist remarks would bring on the demise of his campaign, yet toxic masculinity ultimately propelled him to the office. In a Vox article titled “Why Misogyny Won,” Emily Crockett turns to recent research on sexism, outlining how two types, “hostile” and “benevolent,” intersect. While hostile sexism might see men and women in competition for dominance, benevolent sexism endorses positive, but patronizing attitudes towards women. “Good women who adhere to patriarchal standards of beauty and behavior are rewarded with protection and praise, whereas the “bad” girls are shunned and mistreated because they deserve it.” This dualism played out during the Trump campaign, as he displayed both hostile and benevolent sexism at times. Many have weighed in on Evancho’s participation in the inaugural festivities, a performance some see as a tacit endorsement of the president-elect or a ploy for visibility, but that others see as evidence of the singer’s love of country. To these folks, Evancho is one of the “good” women—she is always soft-spoken, deferential, courteous, and poised. Press narratives and visual media frame her voice as pure, angelic, divine, and transcendent; there is emphasis on her charity work, her performances for veterans, and her saintly character. She speaks openly of her Christian faith and acknowledges God as the source of her talent. Fans on online forums even frame the singer with Christological narratives, including testimonials of miraculous healing. The visual and music-stylistic aesthetic in many of her televised performances further reinforce narratives of moral rectitude and feminine beauty. In a recent guest appearance on America’s Got Talent, Evancho is garbed in a feathery white gown with a backlight casting a crystalline shimmer against her golden, wavy locks and alabaster skin. The ruins of a white church and two large angel statues flank her; white smoke billows up from the ground as snow falls from the sky. The perfect white bodies of ballerinas in traditional tutus add to the ethereal quality established by the cyclorama. The costuming, along with her small frame and delicate hand gestures paint a picture of childlike innocence, creating a somewhat juvenated representation of femininity. While Evancho’s voice possesses a certain maturity, her fragility as established through these juvenation strategies “aestheticizes powerlessness,” creates “a need for adult care,” and ultimately reinforces antiquated gender norms that mandate female dependency, vulnerability, and purity. While it is not my intention to paint all Evancho fans and supporters with the same brush, clearly the rhetoric of protection and praise that defines “benevolent sexism” has shaped some fans’ responses to the public shaming that “SJWs” “lefties,” “nasty liberal haters,” “elites,” and “sore loser Obummers” have inflicted on her. These posts position Evancho as a victim and “innocent lamb” in need of her fans adulation, encouragement, and show of support. One need only look at Evancho’s official media, unofficial fan pages, and the comment sections of major news outlets to see legions of fans and supporters praising her for her maturity, poise, and class in the face of such adversity. At the same time, fans also cite the names of other “less worthy” pop stars such as Miley Cyrus, who, according to one fan, relies only on “gimmicks” and “trash,” as a counterpoint to Evancho’s pure voice and wholesomeness. (Although not framed in explicitly racialized terms, critiques of post-Disney Cyrus’s antics are often tied to her adoption of performative styles associated with black culture). Miley may be trash, but Miss Jackie is a woman worthy of protection. Shows like America’s Got Talent and American Idol deploy a “democratic” selection process in order to find the talent that defines the very best of America, the “voice of America” one might say. Thus, many Americans see Evancho as a national treasure, an image reinforced by her performances at occasions of civic import. This “All-American-girl narrative” was first established in the backstory reel that prefaced her premiere performance on AGT. Audiences behold the singer against the backdrop of a suburban, distinctly white American utopia—Evancho soars on a swing set, horses around with her siblings, and pets a flock of ducks. Even post-AGT, her official media assemble a picture of middle-American childhood, with an emphasis on family, community, and home. A recent New York Times story on the Trump backlash shows a seemingly candid shot of the artist and her three siblings curled up on the couch of their finely appointed home. While critics have decried Evancho’s inaugural performance as a sell out, her fans see the performance as a testament to the singer’s deep devotion to her country. They also point to the fact that she performed at official ceremonies for the Obama administration, which include “O Holy Night” at the lighting of the National Christmas Tree in 2010. On the surface, the choice of Evancho as inauguration performer might seem like a politically neutral choice that would appeal across party lines. After all, she is an under-aged singer (who cannot vote) and performs in a genre historically considered apolitical. She also has a transgender sister and supports LGBTQ rights. Evancho herself reinforced the notion that her performance should not be read as an endorsement in the Times interview, stating “I just kind of thought that this is for my country. […] So if people are going to hate on me it’s for the wrong reason.” Then later to CBS, “I hope to just kind of make everyone forget about rivals and politics for a second and just think about America and the pretty song that I’m singing. I’m hoping that I can bring people together.” This last remark can alternatively be read as naïve or patriotic, but I would also argue that issuing a call for listeners to simply “forget” politics is a luxury only afforded to those with white privilege. Evancho and her fans may not consider her performance a political act, but indeed their understanding of patriotism—one that demands dissenting voices be silenced in favor of national unity, and one that questions the allegiance of detractors—is by no means politically neutral. Depending on the vantage point of the listener, politics can be mapped onto the singer’s past performances as well as her present remarks. Trump’s slogan, “Make America Great Again,” suggests that the nation of the past is superior to the one of the present. Evancho embodies the pastness Trump espouses. Her glamorous performances are loaded with nostalgia, an orientation that is established through costuming, repertoire, orchestration, and vocal style, not to mention the performance of traditional femininity that I cited earlier. Like Trump’s nonspecific meanderings about “the way things once were,” Evancho’s music evokes a generalized nostalgia, a sonic blank slate where the listener can project their own fantasies and fictions of America’s brighter past, where men were men, women were women, minority voices silenced, and dissenters thrown to the wolves of HUAC—the House Un-American Activities Committee of the second quarter of the twentieth century that sought to root out the communist presence in the United States. Whether it is classical crossover’s maintenance of middle class accessibility and relatability, the performance of traditional white femininity, or constructions of political neutrality that open a space ripe for narratives surrounding America’s less multicultural past, what ties together all of these debates over Evancho’s upcoming performance is the notion of embattled whiteness. While this conversation is nothing new, I would argue that the insertion of Evancho into the mix is a game changer for the Trump campaign, a campaign whose soundtrack foregrounded the outwardly defiant voices of male artists. Evancho is a game changer because she has become both the battleground, the pawn, and the blank slate upon which the most recent tale of embattled whiteness is written. The cyber bullying of Evancho stands as supporting evidence of white victimhood. But unlike the down-on-their luck, disgruntled inhabitants of the manosphere, Evancho’s innocence, purity, and traditional white femininity, elevate her to the status of perfect victim, a status these “imperfect” men could never achieve. In defending the embattled Evancho against her leftist attackers, the misogynist candidate himself becomes the the savior of white womanhood, and gains a symbol who embodies the values embraced by his most ardent supporters. (And if we are to believe his Twitter, he is the savior of her album sales as well. )Evancho’s rallying fans (primarily men) may not necessarily support a Trump presidency, but in raising their voices to her defense, they are indeed lending credence to the Trump era narrative of white victimhood with Evancho as their perfect proxy. As a Jackie Evancho scholar and fan, I certainly am not going to argue with the Trump team’s claim that she represents “the best and the brightest of America,” but as a campaign music scholar, I contend that Jackie Evancho is the “the best and the whitest of America” as well. I would like to express my gratitude to Dr. Justin Patch and Dr. Naomi Graber for their assistance with this essay, as well as their ongoing support of Trax on the Trail. Eun Kyung Kim, “‘America’s Got Talent’ Singer Jackie Evancho to Sing at Trump Inauguration,” Today, December 14, 2016, http://www.today.com/popculture/america-s-got-talent-singer-jackie-evancho-sing-trump-inauguration-t105955. John Hartley, “‘When Your Child Grows Up Too Fast’: Juvenation and the Boundaries of the Social in the News Media,” Continuum: Journal of Media & Cultural Studies 12, no. 1 (1998): 15. Maria Sciullo, “Little Girl with Big Voice Charms Millions,” Pittsburgh Post-Gazette, August 12, 2010, W-23. David Henry Feldman, Nature’s Gambit: Child Prodigies and the Development of Human Potential (New York: Basic, 1986), 5–6. Dana Gorzelany-Mostak, “The Curse of the ‘O mio bambino caro’: Jackie Evancho as Prodigy, Diva, and Ideal Girl,” in Voicing Girlhood in Popular Music: Performance, Authority, Authenticity, ed. Jacqueline Warwick and Allison Adrian (New York and London: Routledge, 2016), 113–14 Also see Jon Caramanica, “(Very) Young Voice, Filling an August Hall,” New York Times, November 8, 2011, http://www.nytimes.com/2011/11/09/arts/music/jackie-evancho-at-alice-tully-hall-review.html?_r=0. Nell Irvin Painter, “What Whiteness Means in the Trump Era,” New York Times, November 12, 2016, https://www.nytimes.com/2016/11/13/opinion/what-whiteness-means-in-the-trump-era.html. Christopher Newell and George Newell, “Opera Singers as Pop Stars: Opera Within the Popular Music Industry,” in Opera in the Media Age: Essays on Art, Technology and Popular Culture, ed. Paul Fryer (Jefferson, NC: McFarland, 2014), 127. For more on classical crossover, see http://www.classical-crossover.co.uk/help/utrophy-faq/142.html. Michael Cooper, “Luciano Pavarotti’s Family Wants Him Off Donald Trump’s Soundtrack,” New York Times, July 22, 2016, https://www.nytimes.com/2016/07/23/arts/music/luciano-pavarotti-donald-trump-soundtrack.html?_r=0. For more on class identity and stage & screen music in Trump’s campaign, see Naomi Graber’s article “Do You Hear the People Sing? Theatre and Theatricality in the Trump Campaign,” American Music special issue, forthcoming 2017. And for another viewpoint, see Doreen St. Félix, “The Uses of the Classical: On Jackie Evancho’s Inauguration Performance and the Subtle Theater of Pop Authoritarianism,” MTV, January 4, 2017, http://www.mtv.com/news/2968672/donald-trump-classical-music/. Gordon B., pseud. profile tagline on the Jackie Evancho Community Forum. “Pavarotti - Nessun Dorma 1994 (High Quality With Lyrics),” November 4, 2009, video clip, YouTube, https://www.youtube.com/watch?v=rTFUM4Uh_6Y. Emily Crockett, “Why Misogyny Won,” Vox, November 15, 2016, http://www.vox.com/identities/2016/11/15/13571478/trump-president-sexual-assault-sexism-misogyny-won. For more on this mode of representation see Gaylyn Studlar, Precocious Charms: Stars Performing Girlhood in Classical Hollywood Cinema (Berkeley: University of California Press, 2012), 92. Lori Merish, “Cuteness and Commodity Aesthetics: Tom Thumb and Shirley Temple,” in Freakery: Cultural Spectacles of the Extraordinary Body, ed. Rosemarie Garland Thomson (New York: New York University Press, 1996), 187. “Jackie Evancho: Teenage Opera Singer Belts ‘Someday At Christmas’ – America’s Got Talent 2016,” December 19, 2916, YouTube, video clip, https://www.youtube.com/watch?v=EioakNWzi5s. Daniel O. pseud. Facebook page, America’s Sweetheart Jackie Evancho. For more on reality talent shows and American identity see Katherine Meizel, Idolized: Music, Media, and Identity in American Idol (Bloomington: Indiana University Press, 2011). See Katie Rogers, “Juliet and Jackie Evancho, Bonding as Targets in a Trump Media Frenzy,” New York Times, January 11, 2017, https://www.nytimes.com/2017/01/11/arts/music/jackie-evancho-sister-juliet-donald-trump-inauguration.html?partner=IFTTT&_r=0. “Jackie Evancho - God Bless America - A Capitol Fourth 2016,” July 4, 2016, YouTube, video clip, https://www.youtube.com/watch?v=9bi7ncIp9M8. Rogers, “Juliet and Jackie Evancho.” In August 2015, Evancho released a cover of Ed Sheeran’s “All of the Stars;” its accompanying video was a thoughtful salute to transgender youth, a cause close to the singer’s heart. This complicates the notion of Evancho as apolitical, but due to space considerations I am not going to unpack it here. “Jackie Evancho and Sister Juliet on Bonds and Bullying,” CBS News, January 15, 2017, http://www.cbsnews.com/news/jackie-evancho-and-sister-juliet-on-bonds-and-bullying/. Jason Lipshutz and Keith Caulfield, “Fact-Checking Donald Trump’s Claim About Jackie Evancho’s Album Sales,” Billboard, January 4, 2017, http://www.billboard.com/articles/columns/chart-beat/7646982/donald-trump-jackie-evancho-album-sales-fact-check-skyrocket. 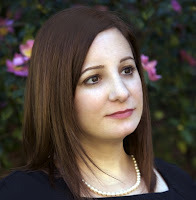 Dana Gorzelany-Mostak is an Assistant Professor of Music at Georgia College. She holds a PhD in musicology from McGill University, and she has taught courses on the history of western music, opera in the 21st century, music and politics, music since 1900, popular music, and historiography. Her research explores various facets of American musical culture—the role of popular songs in presidential campaigns, the reception of music prodigies in the age of reality television, and the untold history of music performance on the “freak” show stage in the 19th century. Additional research interests include opera and popular culture, public musicology, and music entrepreneurship. Gorzelany-Mostak's research on music and electoral politics appears in the summer 2015 issue of Music & Politics and the May 2016 issue of the Journal of the Society for American Music. Her work on Jackie Evancho appears in the edited volume Voicing Girlhood in Popular Music: Performance, Authority, Authenticity (Routledge, 2016). She is the creator and co-editor of Trax on the Trail, a website that catalogues the use of music on the 2016 campaign trail.